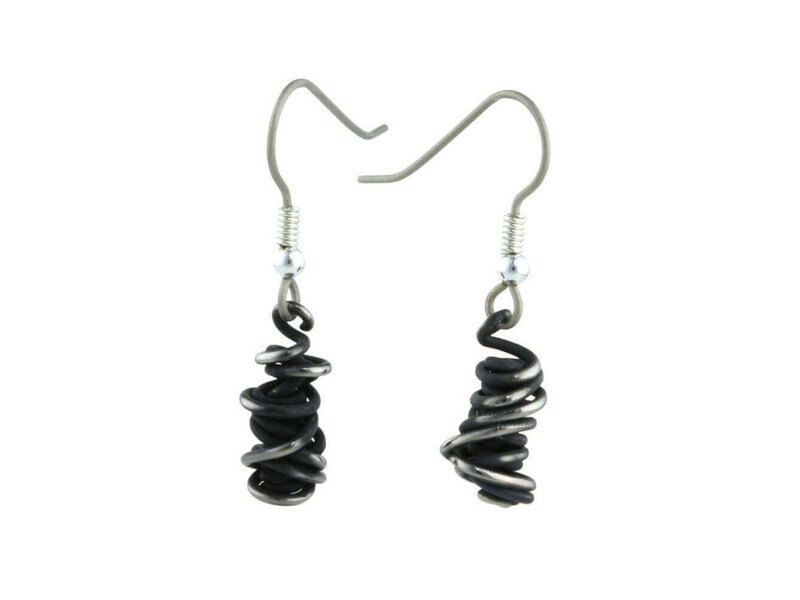 These Chaos 12mm drop earrings, are handcrafted in titanium. Rubber stoppers also included with each pair. Titanium is perfect for jewellery. It is strong, corrosion resistant, hypoallergenic and beautiful to look at. We use only commercially pure titanium which means all of our earrings are hypoallergenic, kind to your skin and will not cause allergic reaction, unlike many fashion earrings. In fact, many of our customers describe wearing our titanium earrings as “giving their ears a rest”. This item is hand-crafted in the UK, shipped from Canada. These earrings are carefully handcrafted from pure titanium by master jewellers. They've been at it for over three decades, making Ti2 the most established titanium jewellery manufacturer in the UK.